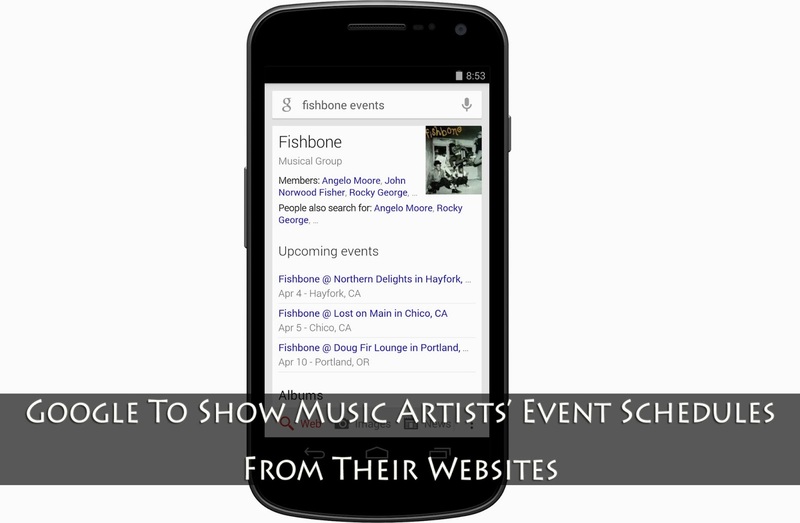 Google to Feature Music Artists' Event Schedule From Their Website! You might have noticed that when you search for your favorite band on Google, you don't just get search results, but a knowledge graph with information about that band, upcoming event schedule, discography, and so on. While useful, this information isn't very accurate, because the data is pulled from various different sources. Google has just announced that it will now get this data directly from the Artists' official website, which means that if you're a music artist or a band, then you should read through the rest of this post! It is important for artists and fans alike that information displayed on the Google Knowledge Graph is up to date and accurate. Google is now trying to improve on this information by getting it directly from its source, thereby eliminating inaccuracies on its part. In order for Google to be able to recognize the information about a band, i.e. tour locations, concert schedules and details etc, webmasters need to play their part. Webmasters who manage music artists' websites, or music artists themselves who are webmasters, need to add structured data markup to help Google recognize all the necessary information. If you are a music artist or run an official website for a musical band, then you can participate in the program by implementing one of the following changes on your music website. Implement Schema.org Markup on Your Website. This markup provides a structure that helps search engines understand the information on web pages and provide richer search results in order to make it easier for users to find relevant information on the web. Markup can also enable new tools and applications that make use of the structure. We have covered this topic before, and we'll cover it again in more detail specific to music-related websites, so stay tuned! You can also install an events widget that has structured data markup built into it. This takes away much of the hassle and the technical aspects, leaving you to focus on your work. The easiest method of all is to use the Data Highlighter Tool in Google Webmaster Tools to identify the information on your website. All you have to do is click on a section on your website, and identify the sort of information it provides. 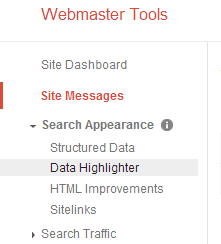 You can find this tool by going to your Google Webmaster Tools dashboard, and then going under the Search Appearance tab to find Data Highlighter.